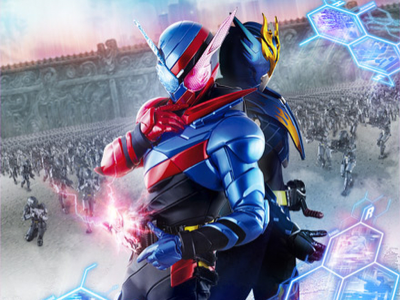 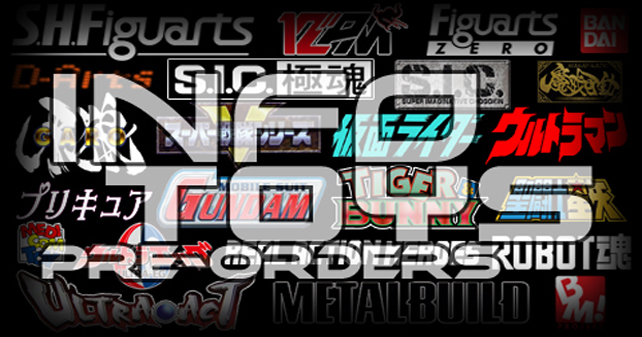 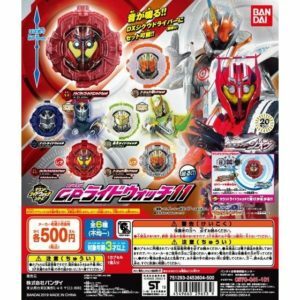 Contenu/Contents : La Kamen Rider Ghost Mugen Damashii Ridewatch, la Kamen Rider Drive Type Tridoron Ridewatch, la Kamen Rider Knight Ridewatch, la Kamen Rider Zangetsu Ridewatch, la Kamen Rider Ghost Mugen Damashii Ridewatch (version brillante) et la Kamen Rider Drive Type Tridoron Ridewatch (version brillante)/The Kamen Rider Ghost Mugen Damashii Ridewatch, the Kamen Rider Drive Type Tridoron Ridewatch, the Kamen Rider Knight Ridewatch, the Kamen Rider Zangetsu Ridewatch, the Kamen Rider Ghost Mugen Damashii Ridewatch (shiny version) and the Kamen Rider Drive Type Tridoron Ridewatch (shiny version). 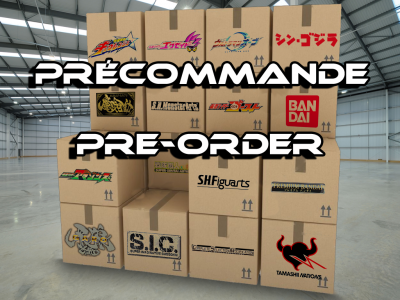 Prix/Price : 5400 ¥ (~ 43 €/~ 49 US $) l’ensemble de dix boites/the set of ten boxes. 540 ¥ (~ 4 €/~ 5 US $) à l’unité/individually. 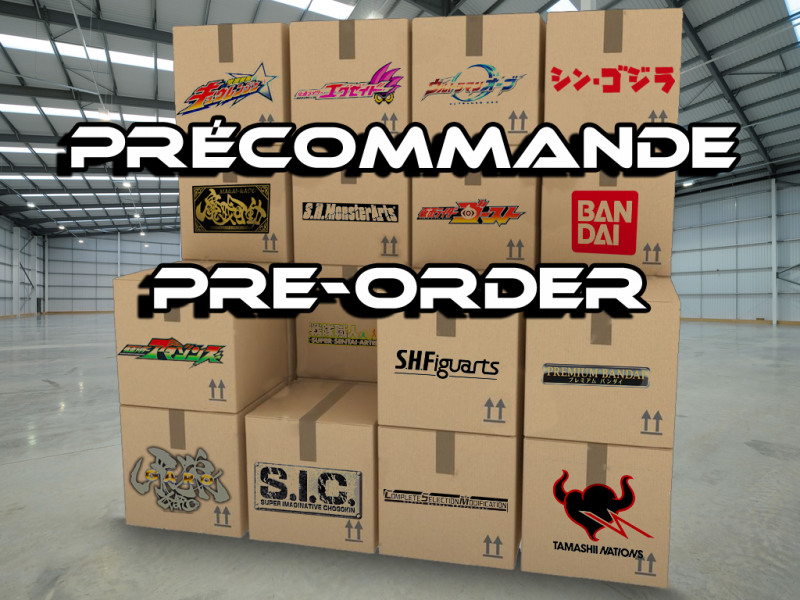 Date de sortie/Release date : 18 Février/February 2019. 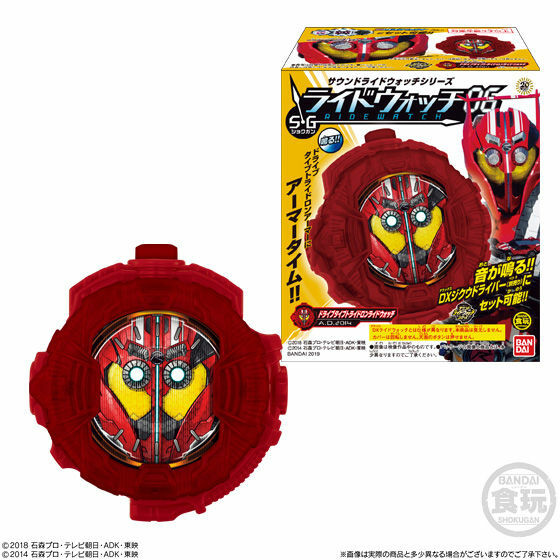 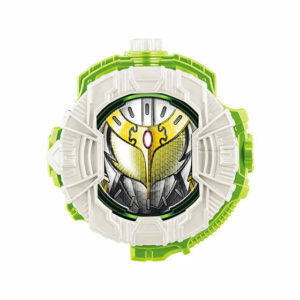 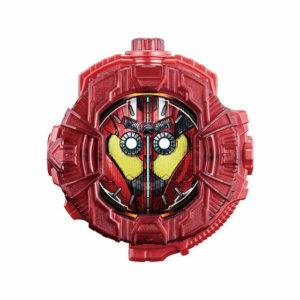 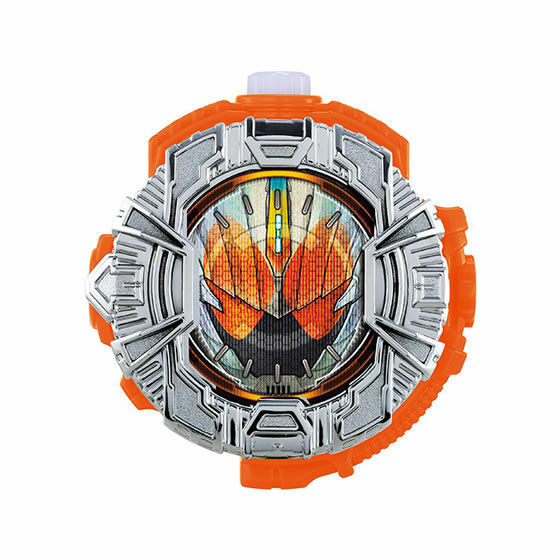 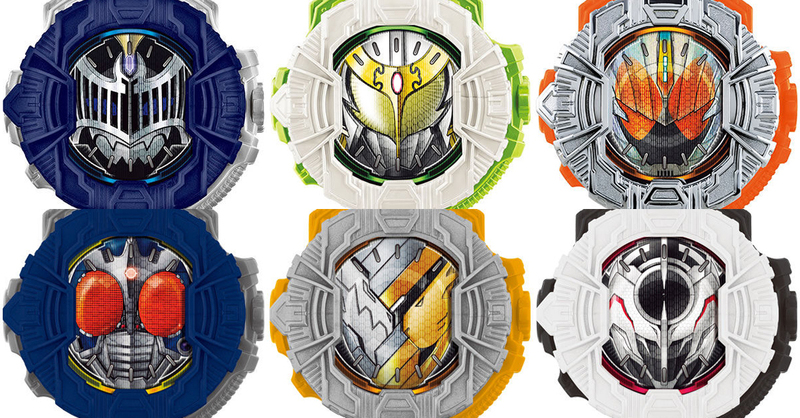 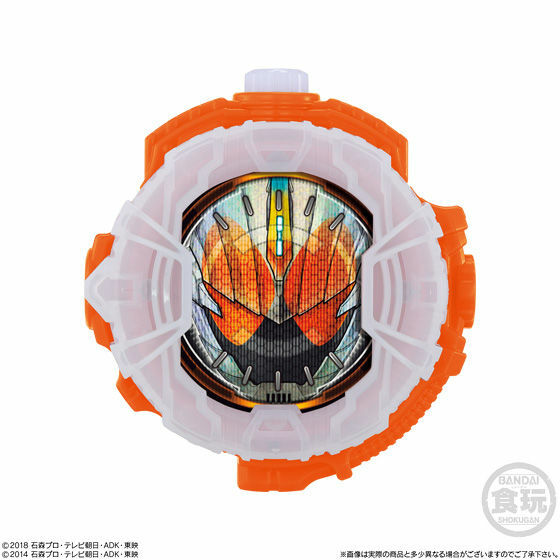 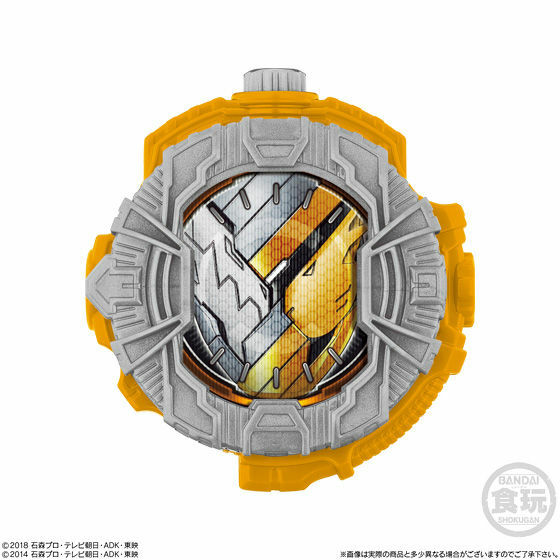 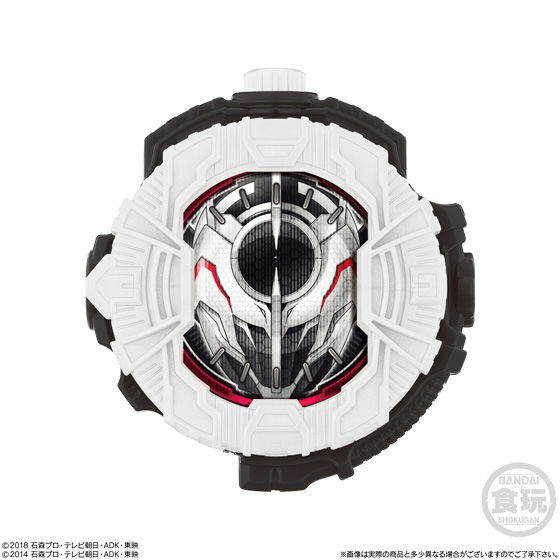 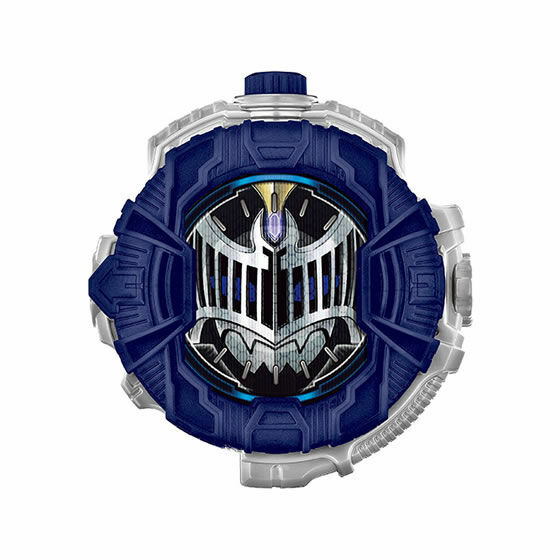 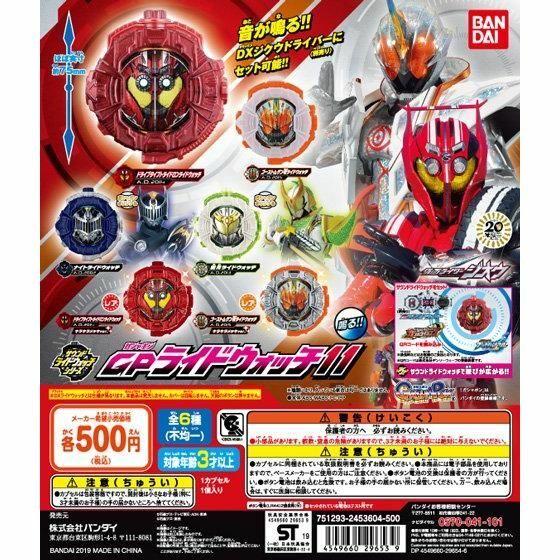 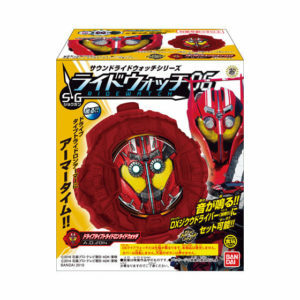 Contenu/Contents : La Kamen Rider Drive Type Tridoron Ridewatch, la Kamen Rider Ghost Mugen Damashii Ridewatch, la Kamen Rider G3-X Ridewatch, Kamen Rider Build RabbitDragon Form Ridewatch et la Kamen Rider Evol BlackHole Form Ridewatch, chacune avec une boite, une notice et un bonbon/The Kamen Rider Drive Type Tridoron Ridewatch, the Kamen Rider Ghost Mugen Damashii Ridewatch, the Kamen Rider G3-X Ridewatch, Kamen Rider Build RabbitDragon Form Ridewatch and the Kamen Rider Evol BlackHole Form Ridewatch, each with a box, a manual and a candy.